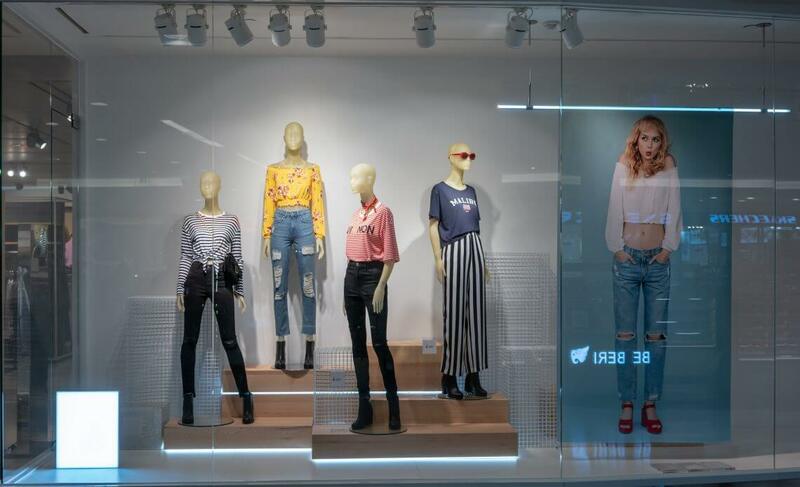 Fashion retails are now focusing on creating a brand innovative image in the market by trying to add a positive improvement in the customer service. Virtual mirrors are the new adoption by many clothing brands. It has the ability to replace try rooms completely. The features of a virtual mirror include different sizes, colors and even recommendations for the user. It is a combined technology or AR and RFID that presents the virtual setting of a try room. One of the ways that smart mirrors work is with the user bringing an outfit in front of the mirror. The outfit is scanned by the mirror along with the image of the person. The person then views himself in that particular outfit and can also move around to see different angles. The lighting can also be adjusted to suit the user and they can see how their outfit might look like in different weather or lighting conditions. If the user wants to choose a different color or size of the outfit, the mirror alerts the sales associate. This saves time and the user can try several outfits in less time. this particular feature also encourages sale since the consumer gets no time to get confused. The company behind this genius AR, ModiFace, also added realistic simulation in the smart mirror. It captures the gestures of the user and visualizes it along with the garment. The user also has the choice of changing an outfit by merely a swipe or a wave gesture. It not only provides services but its real-time simulation broadens the digital scope for other innovations. Smart mirrors have helped the stores to administer everything in a better manner as well. People usually have to wait for the try room to get free which can now be avoided. The store is also safe from any kind of inventory damage and the user can try maximum outfits in less time. Virtual smart mirrors are definitely the next step in shopping experience and provide a profitable business for the brand. It increases sales as well as customer engagement which is what the brand majorly focuses on.